Massachusetts Sen. Elizabeth Warren has released DNA results supporting her claims to have Native American ancestry and now she wants President Donald Trump to make good on his pledge to donate $1 million to charity. Sen. Elizabeth Warren on Monday released the results of a DNA analysis that she said indicated she has some Native American heritage, a rebuttal to President Donald Trump, who has long mocked her ancestral claims and repeatedly referred to her as "Pocahontas." The Massachusetts Democrat and potential 2020 presidential contender challenged Trump to make good on his pledge to donate $1 million to charity if she provided proof of Native American heritage, a moment that was caught on video. Trump falsely denied ever making the offer and later said he would donate the money only if he can personally administer the genetic test. The analysis was done by Stanford University professor Carlos D. Bustamante, a prominent expert in the field. He concluded that the great majority of Warren's ancestry is European but added that the results "strongly support" the existence of a Native American ancestor. In his report, Bustamante said he analyzed Warren's sample without knowing the identity of the donor. He concluded that Warren has a pure Native American ancestor who probably lived six to 10 generations ago and that it was impossible to determine the individual's tribal connection. Warren, who has said her Native American roots were part of "family lore," also released a video produced by her Senate re-election campaign. In it, she said: "The president likes to call my mom a liar. What do the facts say?" Bustamante replied: "The facts suggest that you absolutely have Native American ancestry in your pedigree." The analysis is not the first evidence of Warren's heritage. An 1894 document previously unearthed by the New England Genealogical Society suggested Warren's great-great-great-grandmother, O.C. Sarah Smith, was at least partially Native American, making the senator as much as 1/32nd Native American. The genealogy group has said it has no conclusive evidence of her ancestry, and a spokesman said Monday it would not comment on the genetic findings. If Warren's ancestor were six generations removed, she would be 1/64th Native American. But if her ancestor had been as much as 10 generations removed, that would make the individual a great-great-great-great-great-great-great-great grandparent and render Warren only 1/1,024th Native American, according to Blaine Bettinger, a genealogist and author who specializes in DNA evidence. Such a finding could potentially further excite Warren's critics instead of placating them. 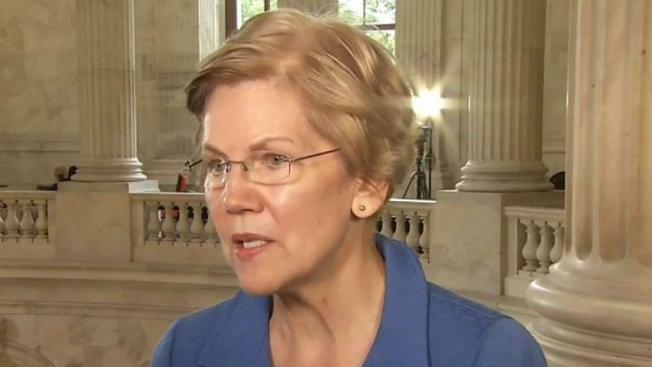 Warren's effort to address questions about her ancestry and the release of the video are her latest moves telegraphing a likely presidential run in 2020. During the summer, she also released a decade's worth of tax returns, drawing a contrast with Trump's unwillingness to release his own tax documents. The moves seem to anticipate the type of criticism she might face against opponents in a Democratic primary or in a possible general election matchup against Trump. "She is most clearly doing the things you do if you're running for president," said Steve Elmendorf, a Democratic strategist and veteran of presidential campaigns. Some Democrats were critical of the timing of Warren's announcement. Jim Messina, who served as President Barack Obama's 2012 campaign manager and as a White House deputy chief of staff, said on Twitter: "Argue the substance all you want, but why 22 days before a crucial election where we MUST win House and Senate to save America, why did (at)SenWarren have to do her announcement now? Why can't Dems ever stay focused?" During a recent town hall-style meeting in Holyoke, Massachusetts, Warren said she planned to "take a hard look at running for president," after next month's election. Earlier this year, the senator released personnel files seeking to dispute critics who have alleged that the former Harvard Law School professor advanced her law career with a narrative that she is a descendant of Cherokee and Delaware tribes. Warren has denied using her Native American heritage to gain any advantage. In an email Monday to supporters, Warren said she "never expected the president of the United States to use my family's story as a racist political joke against Native American history, culture, and people — over, and over, and over." In a tweet directed at Trump, Warren said: "Remember saying on (July 5) that you'd give $1M to a charity of my choice if my DNA showed Native American ancestry?" She went on to request that the president send a check to National Indigenous Women's Resource Center. At a summer rally in Montana, the president declared that he would give a million dollars to charity, "paid for by Trump," if Warren takes the test "and it shows you're an Indian." But when asked by reporters Monday, Trump said, "I didn't say that." Hours later, when asked about the donation during an appearance in Georgia, Trump said he would "only do it if I can test her personally." He added, "That will not be something I enjoy doing, either." Warren, who grew up in Norman, Oklahoma, said her mother and father were forced to elope because of her mother's heritage. She faces Republican Geoff Diehl, who co-chaired Trump's Massachusetts presidential campaign, in November. Diehl said it's up to voters to decide what they think of Warren's DNA analysis. "We've never made it an issue with this campaign. I think the fact is it's an issue that's been attached to her since 2012," he said. Diehl said three weeks before Election Day, the release of the test only confirms what he's been saying for months. "This just shows Senator Warren is focused on herself, on her obsession with running for the White House," Deihl told NBC10 Boston on Monday. "I don’t think anybody out there would want to hire somebody who says, 'on day one of my new job, I’m going to start looking for another job." University of Massachusetts Boston political science professor Erin O’Brien said Warren's timing against Diehl is well thought out. "It just said to me, this woman is running in 2020. I think she’s going to win and win pretty big and she can then go to the United States, go to the Democratic Party and say voters are willing to look past this," O'Brien said. The DNA analysis was first reported by The Boston Globe.